I connected with today’s Will Write for Cookies guest of honor back in 2010. 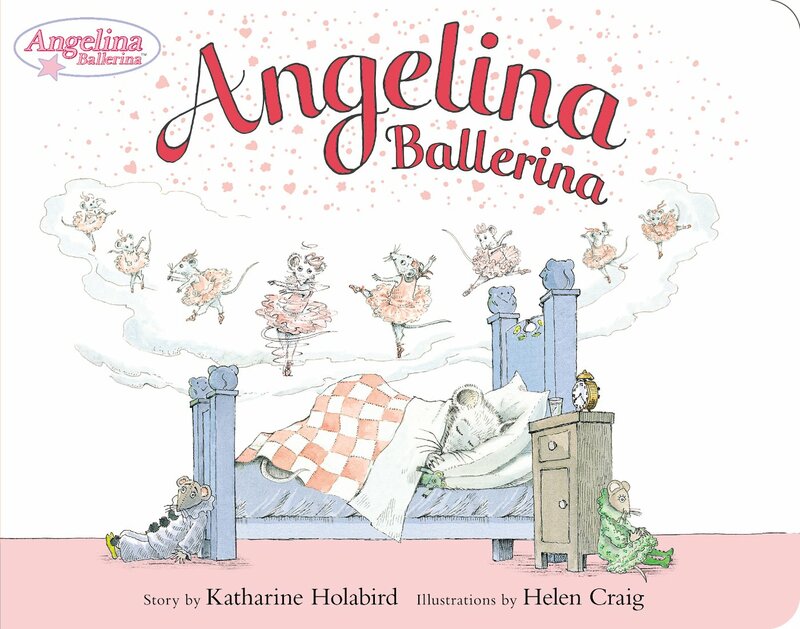 I had contacted Katharine to ask if she would be willing to read my soon-to-be-published book, since one of the picture book stories I recommended in it was Angelina Ballerina. Her answer was an immediate, YES! I was THRILLED when I received her endorsement…what an honor to have the author of over thirty-five children’s books say nice things about my work. 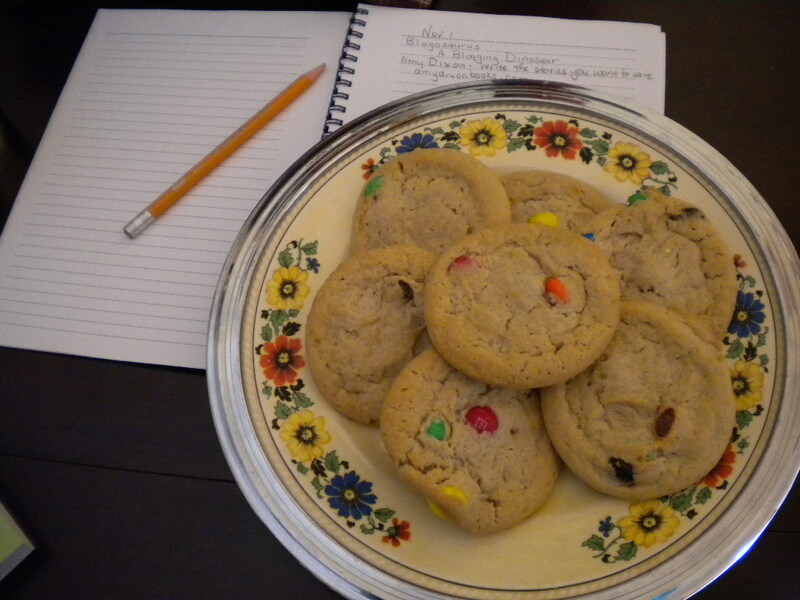 And when I invited Katharine to participate in Will Write for Cookies, again she said YES! Hurray! With experience as an editor, freelance journalist and nursery school teacher, Katharine definitely knew what she was doing when she created the much beloved character of Angelina Ballerina. Angelina recently ‘celebrated’ her 30th birthday – and the books have been translated into over fifteen languages! Welcome, Katharine! I know that so many writers were avid readers when they were young. From what I read on your website, you were a lover of books also. Katharine: My grandmother had a beautiful collection of fairy tales illustrated by Arthur Rackman and Kay Nielson, and I still remember the romance and power of those fantastic stories and illustrations. Later on I read everything by E.B.White and Frank Baum, and adored Laura Ingalls Wilder’s ‘Little House On The Prairie’ series. Not surprisingly, most of the books I loved had strong female heroines! Katharine: I wish I’d known more about how the publishing world works and been a little cannier about my choices. When you first get published it’s such a thrill, and it’s easy to be naïve about contracts and fine print. A good agent should advise and encourage, and also keep an eye on all the contract details. Katharine: Recently my husband and I moved back to the USA after thirty-five years in London, and that’s changed my writing habits in many ways. I used to write in a quiet upstairs room in London, but we travel a lot more now, and luckily laptops have made writing on the go very easy. I sometimes write ideas and thoughts in notebooks, but most of my writing is now on my laptop computer. I do a lot of revisions, and for each story I keep a file with dated changes and rewrites in the computer – it really helps keep me organized! I find all I need is a quiet space where I can sit down and concentrate with the laptop. The location doesn’t matter so much now – if you’re engrossed in a story an airplane can be surprisingly good place to write. Katharine: I started writing for children when I was in my thirties, at home with two young daughters (and then a son). My daughters loved to dress up and dance, just the way I’d danced with my sisters growing up in Chicago. My oldest daughter was a very determined character, and all she wanted for her fourth birthday was a pink tutu. As soon as Tara put on her pink tutu she magically became a great ballerina, and wore it everywhere. I was doing free lance writing for my husband’s publishing company, Aurum Press, and worked on Helen Craig’s first mouse counting and ABC books. When Aurum proposed doing a storybook with Helen I knew it was my chance to write something special for my daughters. I sat down at the kitchen table and wrote a first draft about a little dancing character I called Primrose, and this became Angelina Ballerina. It’s now been 35 years since Angelina Ballerina was published, and recently Helen Craig and I donated all our Angelina archive to the Seven Stories Children’s Museum in Newcastle, England. I was there in September to see ”Twists and Tails – the story of Angelina Ballerina,” a show created from our archive materials, and it was amazing to discover my first hand written draft proudly displayed in a glass case in the center of the room! There’s more information regarding the Seven Stories Children’s Museum on my Facebook page. Thank you so very much, Katharine! 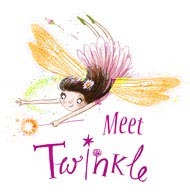 I’m excited about your new Twinkle series. 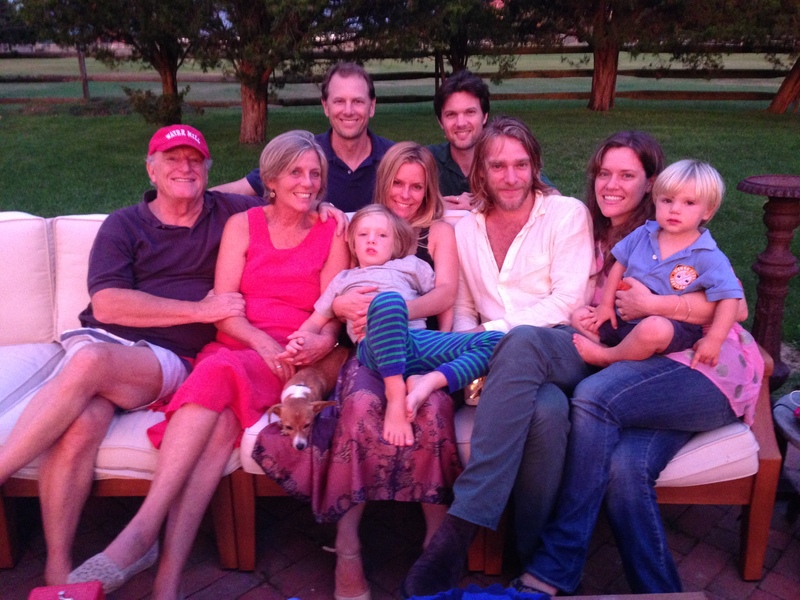 My little granddaughter will be two years old in April…and she and her parents love fairies. I know you have grandchildren and we are so happy to have this special smoothy recipe that you make for them. I’m not much of a baker, but the boys and I like to make smoothies together – they’re so delicious, and I add some Green Superfood flavoured with chocolate! Blend until smooth and yummy! Wow! Thank you for your candid and helpful answers, Katharine. And I can’t wait to try your smoothy recipe. With the holiday just around the corner, I know that parents and grandparents are looking for great gifts for kids – I can’t think of a better one than a BOOK. 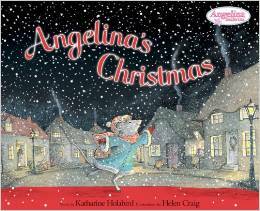 I noticed there are two different Christmas titles for Angelina Ballerina books, and of course, board books, paper backs, Kindle versions, audio tapes and many other ways people can share the beloved Angelina Ballerina. These are available on Amazon, Barnes and Noble, indie bookshops and from the Penguin Website, Angelinaballerina.com, Hitshopusa.com and HITEntertainment.com. 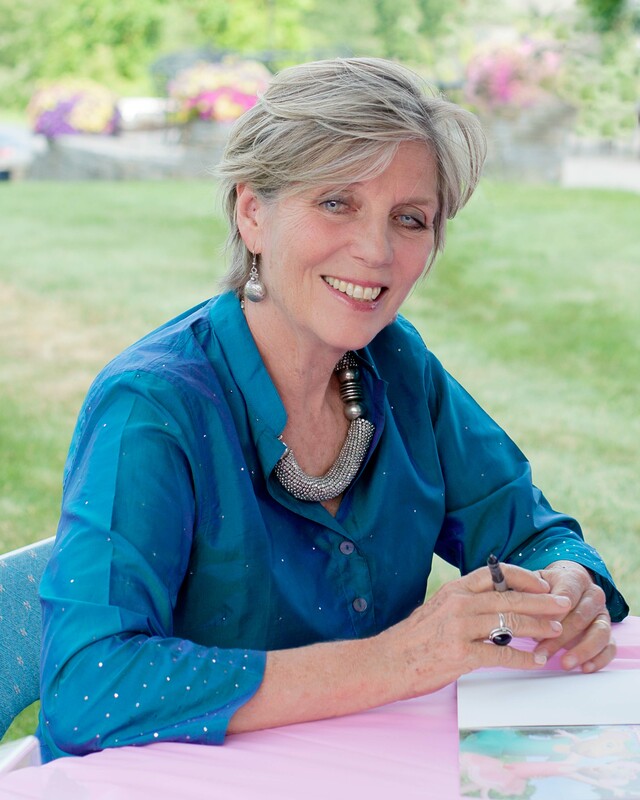 And 2015 will be another exciting year – Katie Davis, Laura Gehl, Julie Rowan-Zoch, Donna McDine, Marty Banks, Suzanne Williams, Artie Bennett, Miranda Paul, Becky Gomez, and more authors and illustrators will be stepping into the Will Write for Cookies spotlight…I hope you won’t miss a post. Happy Friday, everyone! It’s time for a Perfect Picture Book review and craft activity. If you head over to Susanna Leonard Hill’s blog today, you won’t find her usual picture book link up because the 4th Annual Holiday Contest is underway…check out the scores of incredible original stories – you are in for a treat! Today’s picture book is especially perfect for this time of year. And I’m really excited because the author, Katharine Holabird, is going to be my Will Write for Cookies guest tomorrow. Last year, bloggers on WordPress were given a challenge to write a post every day…it was called Post-a-day-2011. This year, another daily post challenge has been issued by WordPress…Project 365. Why not Project 366 since 2012 is a Leap Year with 366 days? However, I guess if bloggers are able to write 365 posts in 2012, I’m sure they will consider themselves an unqualified success…I know I would. I took part in the 2011 Post-a-day challenge and started out 2011 writing posts every day…this lasted about three months. After that I tried to post at least twice a week…sometimes I succeeded, but other times I didn’t. I take my hat off (or would if I wore one) to those bloggers who completed the task and made it to the end of the year, still posting every day. For 2012, I am throwing my hat into the ring (even though, as I’ve already stated, I’m not wearing one) and will try to provide a post of value for every day. In addition, I’m also issuing a challenge to every parent of young children. 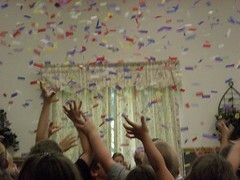 Make 2012 a year of engagement with your child! 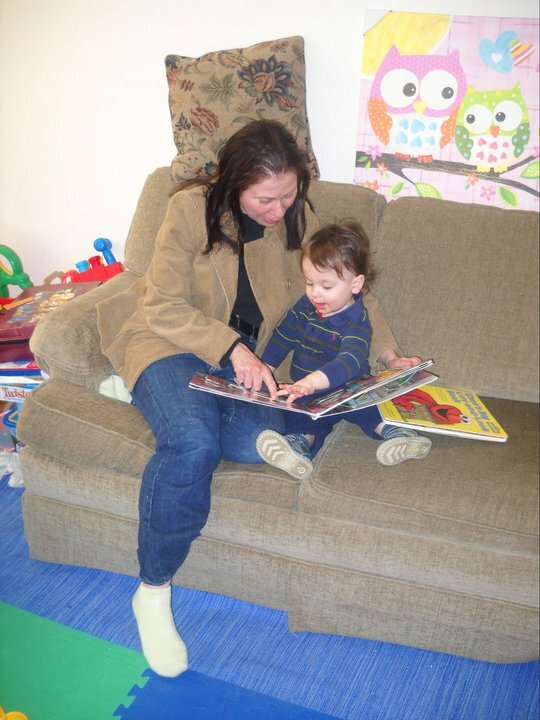 Read with your child every day! Be positive and consistent! Get back to the basics and spend time with your child doing fun-filled educational self-esteem building activities, like arts and crafts or simple cooking experiences. Keep a journal of the picture books you read and the activities you do. Share them here with us. 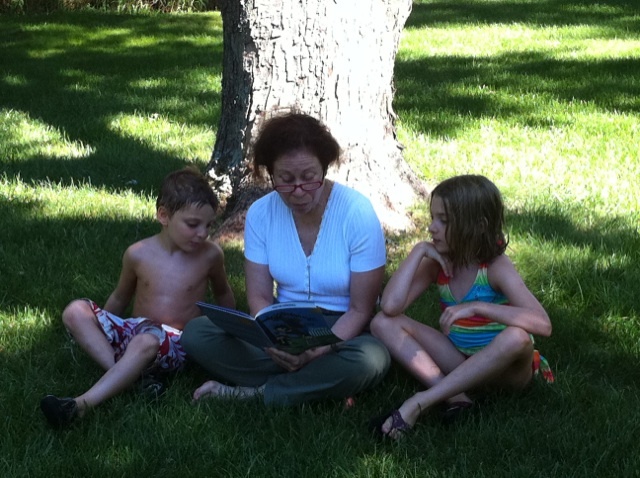 At the end of each month, there will be a prize of a picture book awarded to one family. During the year, any parent who is participating in the challenge and wishes to buy a copy of Show Me How! Build Your Child’s Self-Esteem Through Reading, Crafting and Cooking will receive an additional $5 off my website price. I’ll set up a special PayPal button to reflect that discount. This award-winning book is a unique resource for parents and teachers…it pinpoints 100 picture books every young child should hear and then provides a story summary, parenting tip, simple craft project and easy cooking activity for each of the recommended titles. Parents…make this a fun-filled self-esteem building year for your child! Join the 2012 Positive Parental Participation Challenge! A small investment of your time will bring a great reward for your child! The Show Me How program requires no batteries! The activities are powered by your child’s imagination!